Dr. Srete Nikolovski is a tenured full professor at the Faculty of Electrical Engineering, Computer Science and Information Technology Osijek. He was born on October 1, 1954 in Belgrade. In 1978 he graduated from the Faculty of Electrical Engineering in Belgrade. 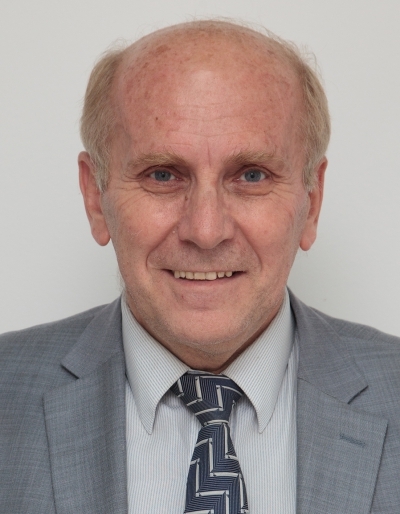 Upon graduation he started to work as an electrical engineer in charge of maintenance of electrical equipment in the Borovo rubber and footwear factory, and then as a research and development engineer in the “Capital construction and maintenance” enterprise of the Borovo factory. During that period he got promoted two times and published several professional papers. In 1989 he received his MSc degree from the Faculty of Electrical Engineering in Belgrade. In 1990 he started to work at the Faculty of Electrical Engineering in Osijek as a research assistant in the Department of Power Engineering, teaching the following courses: Electric power networks, Electric power system analysis, Generation, transmission and distribution of electrical energy, Transmission power lines, and Reliability assessment of power systems. On November 30, 1993 he successfully defended his doctoral dissertation at the Faculty of Electrical Engineering and Computing, University of Zagreb. He was appointed assistant professor in 1996 and full professor in 2000.